Image: Scott Eisen/Getty Images. Design: Kenzie Mastroe/SheKnows. Nov. 6 was a big night for women in American politics. While it wasn't the "blue wave" some had predicted, Democrats successfully flipped the House of Representatives and progressed toward more gender-balanced representation in Congress. Thanks to the 2018 midterm elections, 113 women now serve in Congress — surpassing the current record of 107 according to the Center for American Women and Politics at Rutgers University. Ilhan Omar and Rashida Tlaib have become the first Muslim women ever elected to Congress. Omar, a Democratic representative for Minnesota, will serve the states' fifth district, and Tlaib, who is also a Democrat, will serve Michigan's 13th district, which includes parts of Detroit. Sharice Davids, a Kansas Democrat and member of the Ho-Chunk Nation, and Debra Haaland, a New Mexico Democrat and member of the Pueblo of Laguna tribe, will soon become America's first Native American congresswomen. Davids will also be Kansas’ first openly LGBTQ member of Congress. Republican Young Kim defeated her Democratic opponent, Gil Cisneros, in California on Tuesday, making her the first Korean-American woman elected to the U.S. House of Representatives. On Tuesday, Alexandria Ocasio-Cortez became New York's — and the nations' — youngest woman ever elected to Congress. Ocasio-Cortez is 29. After serving as the state's attorney general, Democrat Janet Mills will become Maine's first female governor. Republican Kristi Noem made history on Tuesday when she was elected South Dakota's first woman governor. Noem currently serves as the state's only U.S. representative. 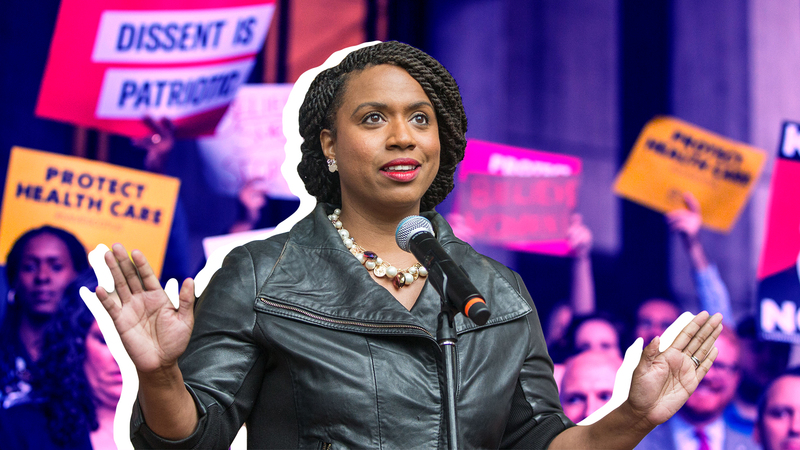 Democrat Ayanna Pressley became Massachusetts' first Black U.S. representative. Pressley is slated to serve the state's seventh district. But this isn't the first time Pressley has made history. In 2009, she became the first woman of color on the Boston City Council. Democrats Veronica Escobar and Sylvia Garcia — who will represent Texas' 16th district and 29th district, respectively — became the first Latina representatives in the state's history. Harris County in Houston, Texas, had 19 women of color on the ballot Tuesday night and all 19 were elected to be judges. All 19 of the #Houston African American Female Judges up for election WON tonight! Democratic candidate Stacey Abrams is not conceding in the Georgia governor's race, at least not yet. At the time of publication, the race remained too close to call. That said, if Abrams wins, she will become Georgia's first Black female governor.